I was a bit of an overachiever today and picked up two pieces of litter instead of one. It wasn’t difficult as they were close to each other and practically on someone’s doorstep. 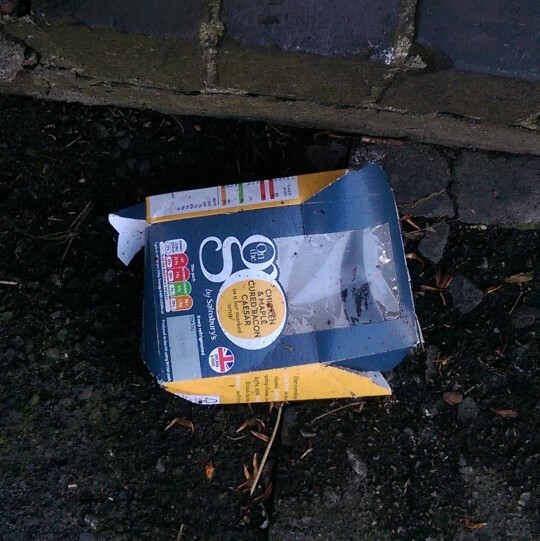 In many ways they are representative of the litter that can be found in communities across the country: a sandwich carton and drink consumed on the go and dropped as soon as they no longer have any use. Based on the carton’s distance from its Sainsbury’s origin, that can be anywhere within a five-minute walk of the point of purchase. 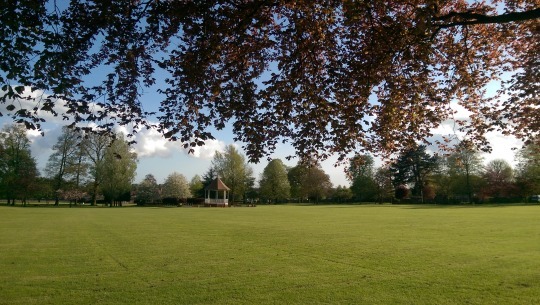 And because it’s going to get a bit depressing if I just show litter all month, here’s a reminder of how great things look without rubbish–the lovely John Coles Park photographed this evening. For more non-rubbish related photos, check out the MissElaineous blog.